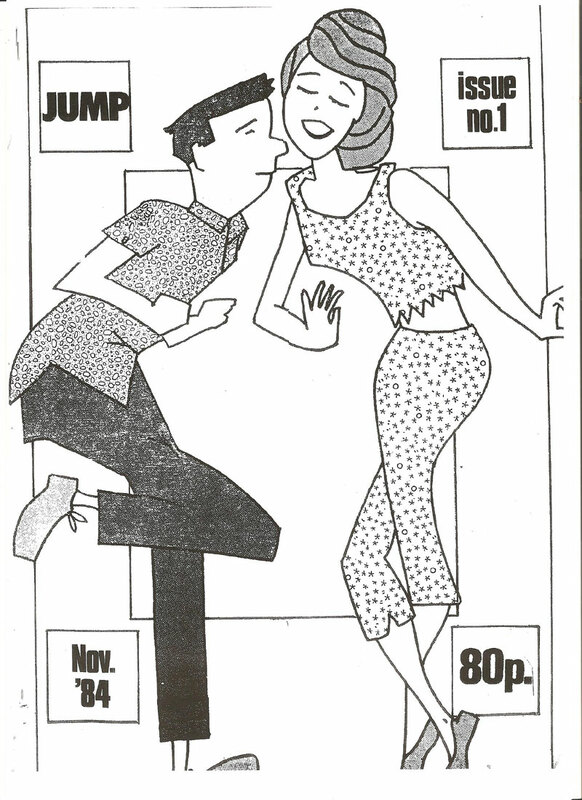 Jump was the successor to Too Late Fanzine. This, one and only, issue came out in Nov 1984. Like Too Late it had no adverts at all and was sold on the streets and pubs of Dundalk. 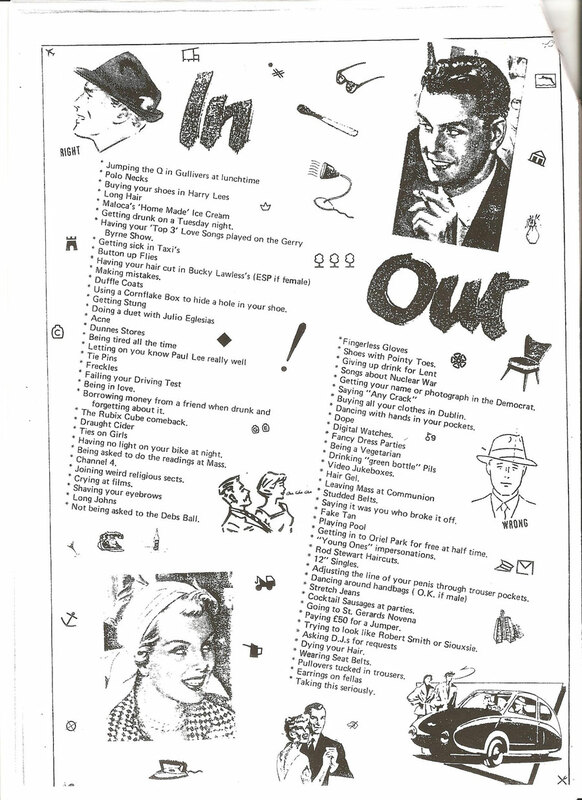 Here’s the front cover and a page which had a look at what was ‘in’ and ‘out’. Would you say “Pullovers tucked in trousers” was in or out?